The Supreme Court bench of CJI Gogoi and Justice Sanjiv Khanna today issued notice in a petition challenging the Constitution(103rd) Amendment Act, enabling reservation for Economically Weaker Sections in higher education and public employment up to a limit of 10%. The bench declined interim stay of the amendment. The petition is filed by "Youth For Equality", an NGO, contending that the amendment, violates the "basic structure" of the Constitution. 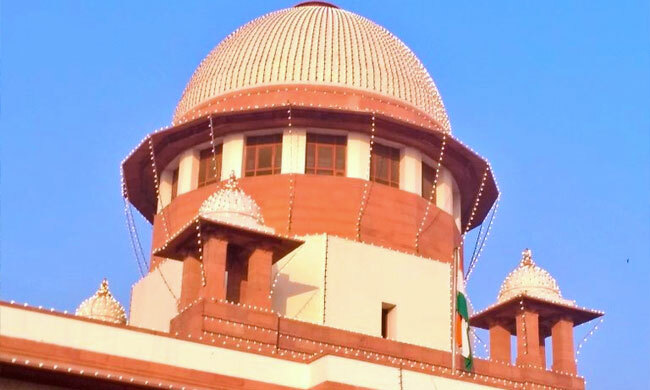 Referring to the nine judges bench decision of the Supreme Court in Indira Sawhney case(1992), the petition states that reservation cannot be given on the basis of economic criteria. "The above Constitution Amendment completely violates the Constitutional norm that economic criterion cannot be the only basis of reservation as has been laid down by the 9 judges in Indira Sawhney, without removing the basis of the judgement". It further states that the amendment, which makes room for providing quota up to 10% to economically weaker sections in addition to the existing reservations, breaches the 50% cap set by Supreme Court in the Indira Sawhney case. The other ground of challenge is that the amendment confines the benefit of economic reservation only to general category candidates. "By way of the present amendments, the exclusion of the OBCs and the SCs/STs from the scope of the economic reservation essentially implies that only those who are poor from the general categories would avail the benefits of the quotas. Taken together with the fact that the high creamy layer limit of Rs.8 lakh per annum ensures that the elite in the OBCs and SCs/STs capture the reservation benefits repeatedly, the poor sections of these categories remain completely deprived. This is an overwhelming violation of the basic feature of equality enshrined in Article 14 of the Constitution and elsewhere" , states the petition. The amendment is also unsustainable as it imposes reservation in private unaided educational institutions, contrary to the SC judgments in TMA Pai and PA Inamdar cases , states the petition further. Economic reservation in jobs and education is proposed to be provided by inserting clause(6) in Articles 15 and 16 of the Constitution. The proposed Article 15(6) enables State to make special provisions for advancement of any economically weaker section of citizens, including reservations in educational institutions. It states that such reservation can be made in any educational institution, including private institutions, whether aided or unaided, except minority educational institutions covered under Article 30(1). It further states that the upper limit of reservation will be ten percent, which will be in addition to the existing reservations. As regards job reservations, the proposed Article 16(6) enables State to make provision for reservation in appointments, in addition to the existing reservations, subject to a maximum of ten percent. At present, reservations account for a total of 49.5%, with 15%, 7.5% and 27% quotas for Scheduled Castes, Scheduled Tribes and Other Backward Classes respectively.